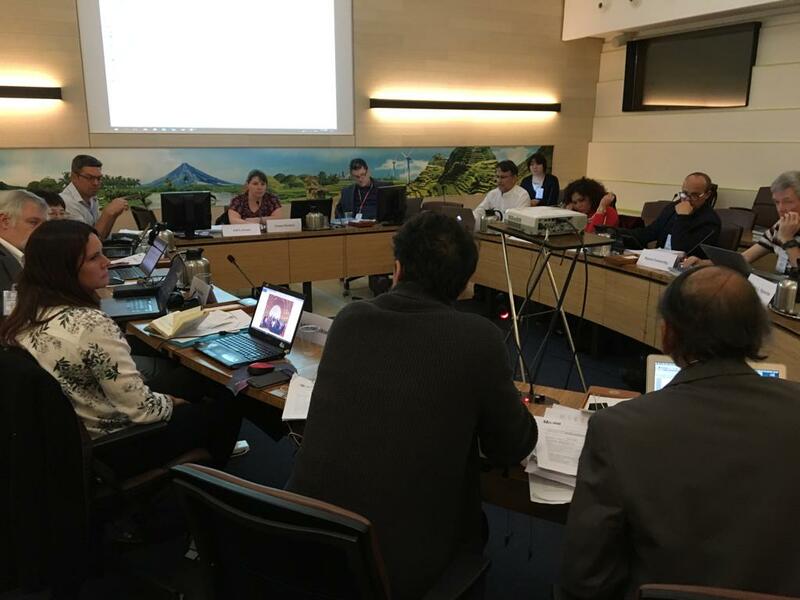 The Joint FAO/WHO Expert Meeting on Microbiological Risk Assessment (JEMRA) began a week-long session on Monday 11 March 2019 to discuss consolidating and updating technical guidance documents that will allow for a more current and coordinated approach to assessing microbiological hazards in food. The information provided by risk assessments helps the food industry and governments better understand and control these hazards so that food is safe for consumers. Assessing the risks associated with microbiological hazards in foods, which can occur at any point in its preparation from production to consumption, is a resource-intensive activity that requires a systematic and multidisciplinary approach. It is also a dynamic process that must keep pace with science as it evolves. “This meeting with experts is a unique and critical activity for the FAO/WHO scientific advice programme”, explained Jeffrey LeJeune, FAO Food Safety and Quality Officer. “We are developing the methodological basis that will guide all future assessments so they reflect the state of the art for microbial risk assessment. This is an evidence-based approach that all countries - whether low, middle or high-income - can use to enhance food safety”, he said. This process involves merging three of its previous publications about the steps for conducting microbial risk assessments to create a single updated reference document. The objective is to help guide the evaluations of hazards in the food supply that, along with risk management and risk communication, will promote food safety. Since 2000, JEMRA has been providing the Codex Alimentarius Commission and FAO and WHO Member Countries scientific advice on microbiological food safety issues. JEMRA convenes meetings of experts to respond to requests, in particular those of the Codex Committee on Food Hygiene. JEMRA has developed a series ofpathogen-commodity scientific reports for microbiological hazards, including bacteria (Salmonella, Campylobacter, Vibrio spp., Listeria monocytogenes, Shiga toxin-producing E. coli), foodborne parasites (Toxoplasma, Cryptosporidium) and viruses (Norovirus, Hepatitis A virus).